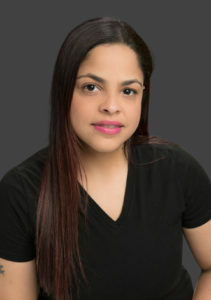 Angelica graduated from The Connecticut Center for Massage Therapy in June of 2017. She found her passion for helping others at a very young age. Angelica believes there is no greater gift then to truly love what you do and she has found two passions in her life that balance her. Though currently she is full time in the law enforcement field, she loves knowing that she can leave the uniform at home and enter the world of healing others through Massage Therapy. Helping people feel better through massage has truly enhanced her life. Angelica specializes in Deep Tissue massage, Swedish massage, and always incorporates myofascial techniques. If you would like to schedule an appointment with Angie, you may do so via email at [email protected], ONLINE, or by calling the office at (860) 410-4490.